This piece was created for a Medical Professional. 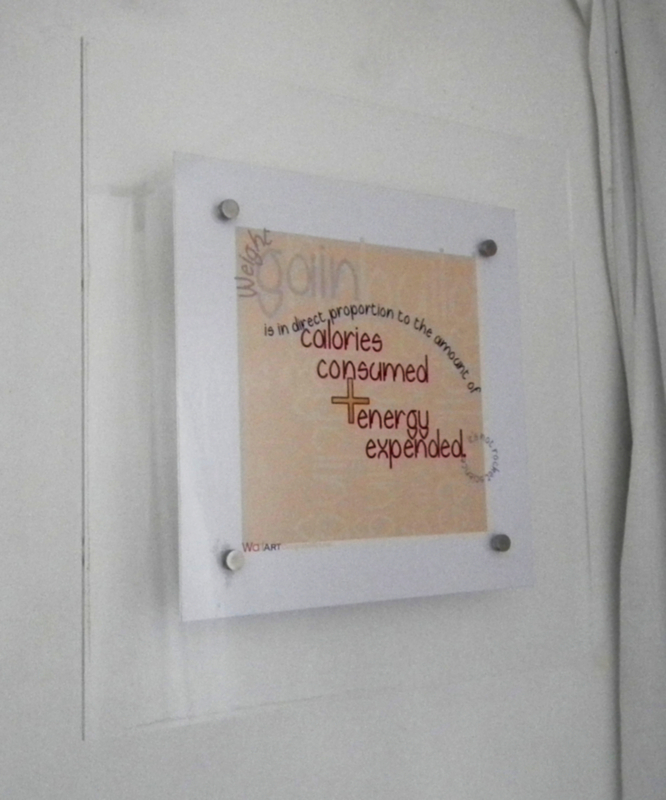 One of their concerns are obese patients, how this affects their recovery & general health. 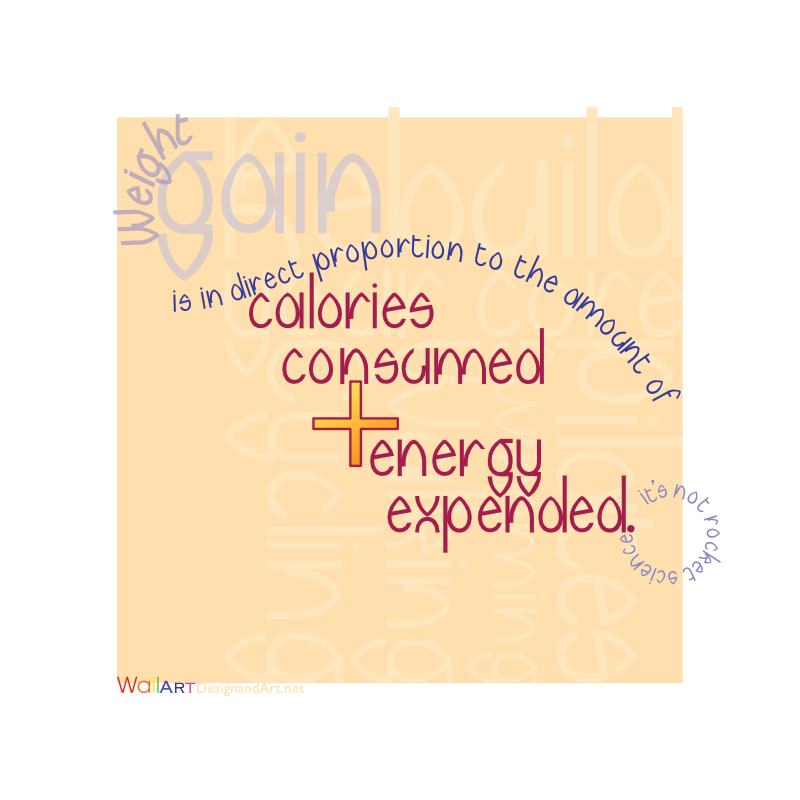 The phrase ‘Weight gain is in direct proportion to the amount of calories consumed and energy expended.’ is a variation of the practitioners encouragement to their patients to look after their weight. 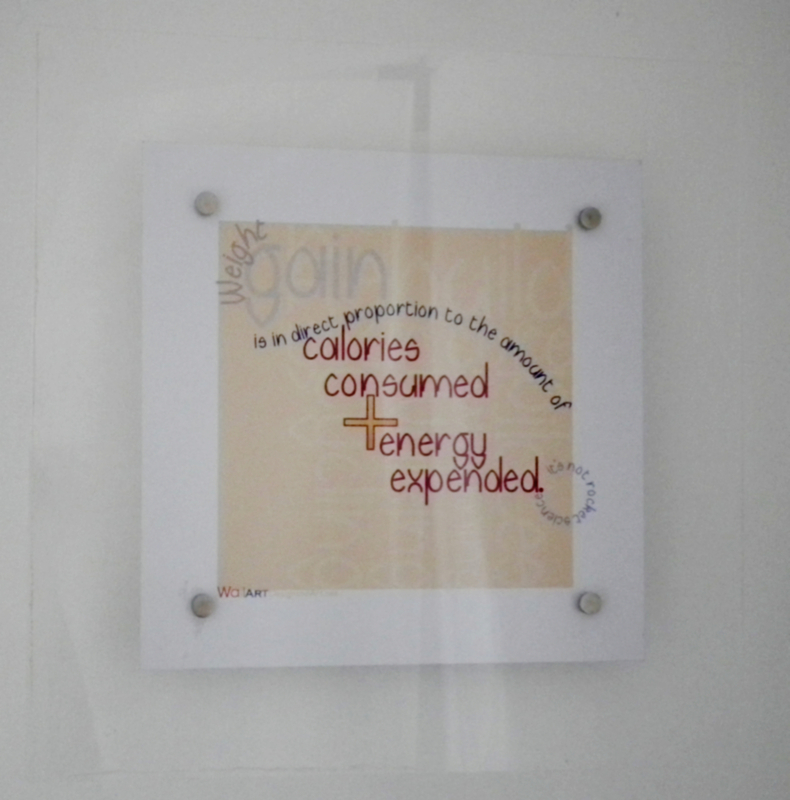 In this WallART I use typography and colour to emphasise the phrase. Above I’ve split the phrase as it might be spoken. Concluding with, ‘It’s not rocket science.’ True! 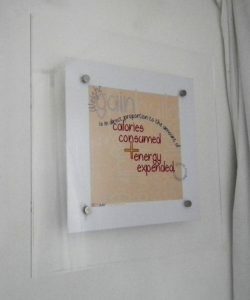 ‘Weight control is simple’ in theory, often, not so much in practice. The texture in the peach coloured background is a selection of further instructions. ‘Rebuild your core’. Pilates, Swimming, Walking, Cycling. 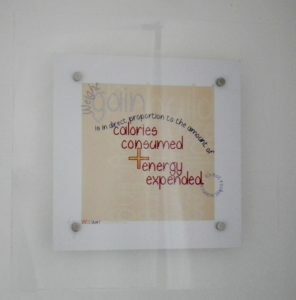 The typeface used in this piece is one designed by the author Deirdre ní Dhubhghaill it is named ‘Cloister’.